Dorothy McNeely Cassada, 86, of Danville, Va., passed away on Monday, November 19, 2018, at Carilion Roanoke Memorial Hospital. She was born May 11, 1932, in South Boston, Va., to the late Bessie Reynolds Crane and the late Ernest Leo McNeely. She is survived by her loving husband, Bobby Lee Cassada. Mrs. Cassada loved to travel, enjoying cruises and bus trips with her Senior Citizens Group. She worked as a hairdresser. Mrs. Cassada was a member of Mt. Hermon Baptist Church. In addition to her husband, Mrs. Cassada is survived by her daughters, Pam Burnett of Dry Fork, Va., Pat Beale of Cascade, Va., and Debra Boaze of Danville; her son, David Cassada and wife, Brenda of Danville; her sister-in-law, Gwen McNeely of Danville; her brothers, Charles E. McNeely, Mark Wayne McNeely, and John Thomas McNeely, all of Pennsylvania. She is further survived by her grandchildren, Brian Oakes, Chris Boaze, Brandon Burnett, Kelsey B. Yarbrough and husband, Trey, Megan Cassada, and Luke Cassada; and great-grandson, Everett Oakes. In addition to her parents, Mrs. Cassada was predeceased by her brothers, Linwood Dewitt McNeely, Sr. and Ronald Clark McNeely, Sr.
A graveside service will be held at 2 p.m. Friday, November 23, 2018, at Highland Burial Park with Rev. Ryan Riley officiating. At other times the family will receive friends at 517 Indian Trail, Danville, Va. The family respectfully requests memorial donations be made to Mt. Hermon Vol. Fire Dept., 4268 Franklin Tpk., Danville, VA 24540 (www.mthermonfr.org). Norris Funeral Services, Inc. & Crematory, Mt. Hermon Chapel, 3995 Franklin Tpke., Danville, Va. is respectfully serving the Cassada family. Online condolences may be made at www.norrisfuneral.com. 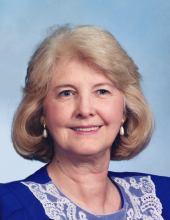 To send flowers or a remembrance gift to the family of Dorothy McNeely Cassada, please visit our Tribute Store. "Email Address" would like to share the life celebration of Dorothy McNeely Cassada. Click on the "link" to go to share a favorite memory or leave a condolence message for the family.